We told you that a Broadway transfer of this show to the Longacre Theatre was likely! 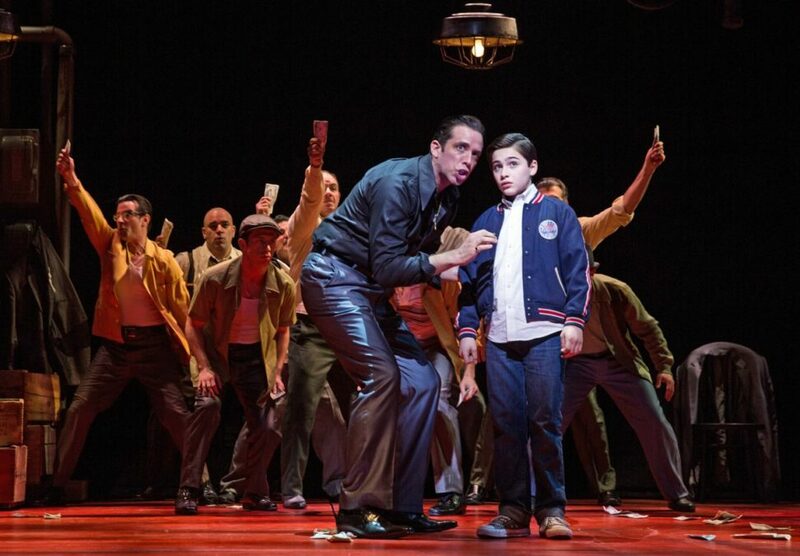 A Bronx Tale: The Musical, which bowed at Paper Mill Playhouse last year, is heading to the Great White Way. Co-directed by two-time Oscar winner Robert De Niro and four-time Tony winner Jerry Zaks, the production will begin previews on November 3 and officially open on December 1 at the Longacre. No word yet on casting, but Broadway faves Richard H. Blake, Jason Gotay and Nick Cordero headlined the limited engagement at the New Jersey venue. Featuring a book by Chazz Palminteri, music by Alan Menken (Aladdin) and lyrics by Glenn Slater (Aladdin, School of Rock), A Bronx Tale is inspired by the real life story of Palminteri. The streetwise musical will take you to the stoops of the Bronx in the 1960s—where a young man is caught between the father he loves and the mob boss he’d love to be. Featuring a doo-wop score, A Bronx Tale is a story about respect, loyalty, love, and above all else: family. A one-man play, written and performed by Palminteri, premiered in Los Angeles in 1990 and soon moved to off-Broadway. Following a 1993 film adaptation headlined and helmed by De Niro and penned by and co-starring Palminteri, the play ran on Broadway in 2007. The production will feature choreography by Sergio Trujillo, scenic design by Beowulf Boritt, costume design by William Ivey Long, lighting design by Howell Binkley, sound design by Gareth Owen, hair and wig design by Paul Huntley, makeup design by Anne Ford-Coates, fight coordination by Robert Westley, music supervision and arrangements by Ron Melrose, orchestrations by Doug Besterman and musical direction by Jonathan Smith. Tommy Mottola is among the show's lead producers. Check out Broadway.com's interview with De Niro and the Paper Mill company below.